With Halloween right around the corner, a number of leading online casinos are offering top paying bonuses and promotions that not only offer the chance to earn free cash and credits, but also provide access to some of the great Halloween themed games that are featured online. 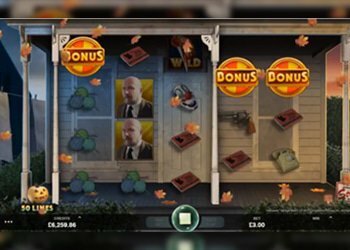 Here, we provide an overview of some of the top bonus deals that are being offered at 2017 casino sites and these all provide a great opportunity to earn more payouts, engage in amazing themed games and enjoy the upcoming Halloween season. With these Halloween casino promos, players will have a great way to boost payouts while enjoying some of the best games offered online. 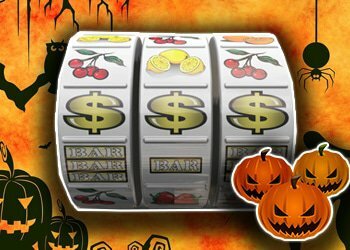 A number of the leading sites are featuring Halloween casino promos and these all provide great opportunities to collect massive payouts while enjoying some of the spooky-themed games from leading software providers. The bonuses that are covered here are all available to those that have registered real money accounts and they can lead to the collection of some massive payouts. Each bonus has strict wagering requirements and terms and conditions and they can only be redeemed by those that have active and funded accounts at selected casino sites. One of the great bonuses that can be enjoyed during the Halloween season is at Spin Palace and is the Sugar Skull Spectacular. When players log in to the account and make a deposit, they can benefit from an amazing 150% match that is worth as much as $200 and this can be claimed at any time until October 31. In addition to the free cash, members of Spin Palace Casino will enjoy a 20 free spin bonus to be enjoyed on the themed slot game, Beautiful Bones. Another amazing video slot that can be enjoyed online is offered at BitCasino, here the Candy Pot Halloween event is taking place. This is one of the many bonus offers presented at this site and it can offer the chance to win part of an amazing m฿5000 prize pool. To have the chance to win, players will have to wager m฿5 or more on Halloween, Lost Vegas or Beautiful Bones. Each time players wager the required amount, they can win two entries if they are playing the Halloween slot game and one entry for the other two slot games. There are some superb cash prizes that will be awarded, which range from m฿25 to m฿500. With this Halloween casino promo, players will stand a great chance at collecting extra bonus payouts if they are able to collect enough tickets by playing these great themed games. At Vegas Crest, players will have an amazing opportunity to collect huge rewards during the Halloween season. 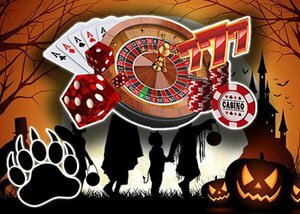 There is a superb Halloween Slots Tournament that is being hosted and tis is on one of the best Halloween casino promos that is offered in 2017. Until October 31st, players can play Magic Shoppe, Dr Jekyll & Mr Hyde or Alkemor's Tower, offering the chance to win prizes that can be worth as much as $1000. This tournament will offer prizes for players who place 1st through 50th and the top winner will grab the $1000 in cash All other winners will enjoy casino bonus cash that can range from $10 to $500. At Vegas Crest Casino there are always amazing ways to boost the casino account and this 2017 online casino bonus is just one way to start increasing the bankroll while enjoying amazing themed games. With so many online casinos offering great themed games, Halloween has never been so enjoyable. Many of the leading software providers have developed stunning games that have a Halloween theme and these not only offer superb payouts, but can also be part of exciting Halloween casino promo events that can lead to more payouts, free spins and the collection of casino credits. 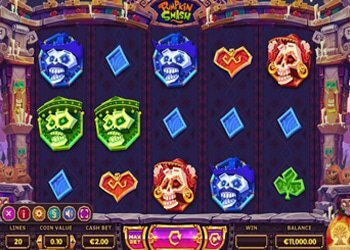 Some of the scary and thrilling games are known to offer regular rewards with real money spins and there are many amazing games that can be enjoyed. At 2017 casino sites, players will find all of the attest releases and new themed games to make this Halloween one to remember. One of the best ways to enjoy the season is to access some of the top rated Halloween games, such as these highlighted below. 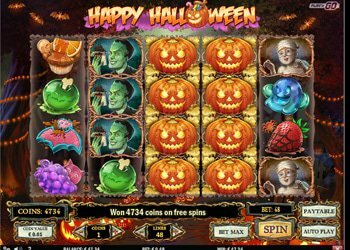 Halloween: Halloween is one of the great new games that will be released in 2017 and it is a Microgaming themed slot that will surely offer the tricks and treats players desire. The game is a five reel video slot that offers 50 paylines and supports various bet amounts. The slot is inspired by the 1978 horror movie, Halloween and players will benefit from Wandering Reels, Bonus Wheel Bonuses, the Boogeyman Bonus and Free Spins. 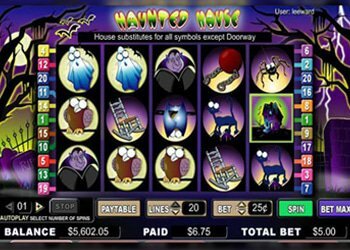 The Halloween Slot game can be previewed in a free demo mode, allowing players to learn the game layout and all available features prior to betting. Happy Halloween : Happy Halloween is a new slot game to be offered in 2017 at casino sites and it is a Play N Go title. This game was just released just in time for Halloween and it is a 50 payline game. With this title, players will enjoy free spin bonus rounds and multiple base game payouts. The game can be played for free and for real money and it is one of the tip rate Halloween themed slots being offered at online casinos. 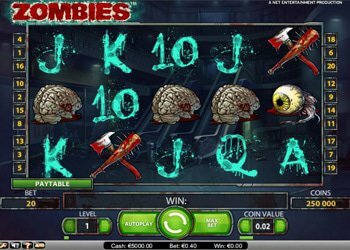 Zombies : The Zombies slot game is one that has been released by Net Entertainment and the game offers an amazing way to celebrate Halloween. It is a 20 payline game that supports multiple bet amounts and can also be played for free. The game offers a base game jackpot of 1000 coins and there are random wild features and free spins. The Zombies slot is one that will surely provide the thrills one desires at Halloween. 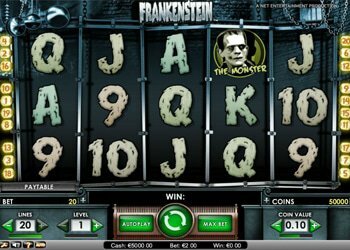 Frankenstein : Frankenstein is another great Halloween themed slot that is offered by NetEnt and while it does not offer a progressive it does provide the chance to win large rewards. The game is offered as a free play and real money slot and players will enjoy the bold graphics and animations on the reels. With the Frankenstein slot game, players will enjoy free spins, re-spins, wilds, scatters and much more. Haunted House : RTG casinos are on board with themed games and players can enjoy a great Halloween game called Haunted House. This video slot offers 25 paylines and supports multiple bet amounts. Those that are enjoying the Halloween season will benefit from playing Haunted House As it can yield some superb rewards and supports low bet amounts, perfect for casual players. The Dead Escape : The Dead Escape is a well designed game from Yggdrasil and it features some great chances at winning. This game has a zombie theme and players will enjoy the many betting options. 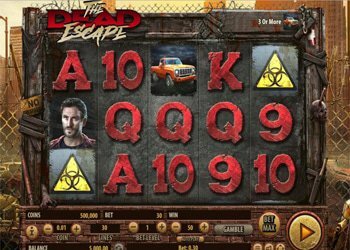 With The Dead Escape there are 30 paylines, wilds, scatters and amazing bonus features like free spins. Pumpkin Smash : Pumpkin Smash is one of the latest Halloween slot releases and it has just been offered online by Yggdrasil. This is a 20 payline game that can support bets as high as $100 per spin. The game has bold and vibrant graphics and animations and players will surely benefit from the Pumpkin Smash bonus and the ability to create frequent base game combinations. Online casinos feature amazing Halloween themed games from multiple providers. At the leading 2017 casino sites online, players will find a massive collection of Halloween themed slot games and there are also a number of top paying Halloween casino promos that can be redeemed. Here, we introduced players to some of the more popular Halloween themed titles and these can all offer amazing payouts. In addition to great bonuses, many of the mentioned onion, casinos also offer regular bonus deals for those that remain loyal to the site. No matter how players register or how long they have been a member, they can easily enjoy the spookiness and excitement of some of the best Halloween games anywhere online.